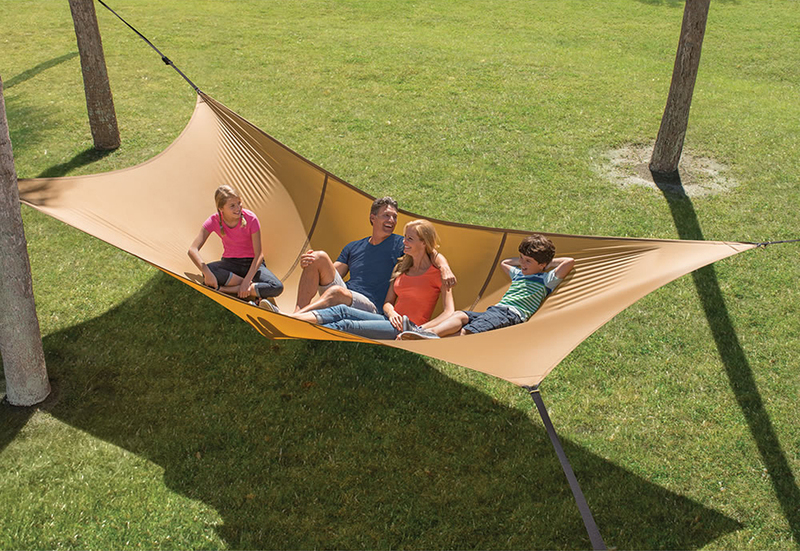 Hammacher Schlemmer is selling this giant hammock for $500. According to the product site, it can seat a herd of children, five 200-lb adults, or one oversized axe-wielding woodsman. I don’t know who does the copy over there, but I have a feeling we would make great friends. Or at least, you know, okay acquaintances. I’m not picky, I’m hard up for human interaction. Hmu, Hammacher Schlemmer product description writer!